BiggerBetterBeards - Be a Man! 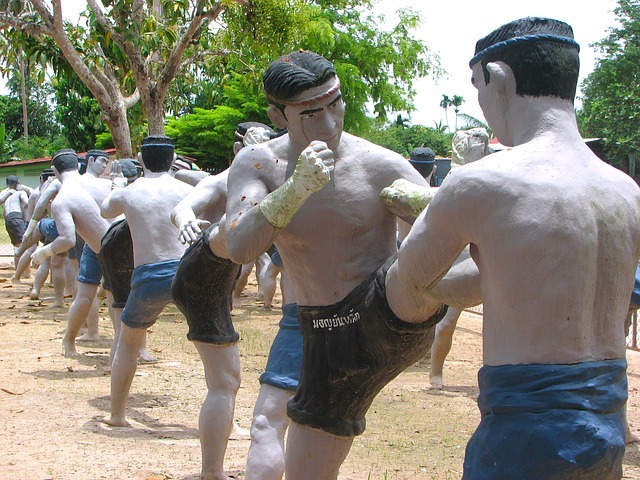 How did Muay Thai come to be? How is Muay Thai different from boxing? What Muay Thai equipment do you need? One of the most important things you have to do to get great results as a Muay Thai practitioner is to purchase quality gear and that’s why we recommend that you check out this article as it is packed with practical info. If you are not yet fully equipped and you have yet to invest in a pair of quality Muay Thai gloves, we have composed a list of items that might also stir your interest. In order to get better at Muay Thai, one has to train regularly. After all, let’s be honest – no one wants to lose the progress one has made. However, a crucial aspect that all boxers should know is that there are certain moments when one should cease training. One of these moments is when one is sick. If you want to learn more about when it is appropriate to train and when it is not, this comprehensive guide is likely to be of great help especially if you are a novice that is still not up to speed with the gym etiquette. Why are you likely to get sick? One of the reasons why Muay Thai practitioners are likely to come down with something is because they train hard and often and, as a consequence, their immune systems are weakened. To avoid getting sick, it is vital that you take good care of your body by eating correctly and by resting enough. Besides, you should drink plenty of water, at least half a gallon when you don’t train, and even more on those days when you go to the gym for a training session. On top of that, you might want to start thinking about taking vitamins that build up resistance. If you neglect any of these aspects, chances are that your body will be weakened and likely to fall sick more often. What is more, you should remember that, even when you do take proper care of yourself, your body is likely to get sick from time to time. Whenever this happens, taking time off is the right thing to do. If you are a seasoned Muay Thai practitioner, you’ve probably heard of the above-the-neck rule. According to it, if you are not feeling well and you have symptoms that manifest below the neck, such as an achy body, chest congestion, diarrhea, etc., you should stay at home, as they might indicate the onset of flu. Still, if you only have above the neck symptoms such as a cough, or a running nose, you can do some low-intensity exercise, but nothing very challenging. However, if you don’t feel well, no matter the symptoms, it is advisable that you stay at home as Muay Thai training is very demanding and you might make yourself feel worse. If you have the flu, you risk infecting others and that is just inconsiderate as you are not just hurting yourself, but others as well. Why should I skip training? Whenever you are feeling fatigued or weaker than usual, you are more likely to have difficulties reacting fast enough. 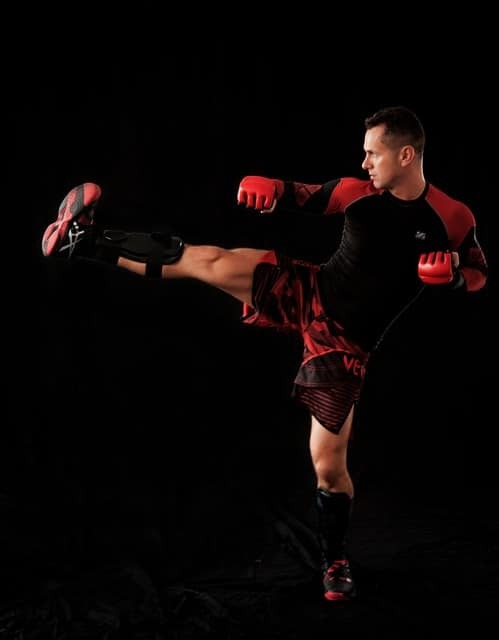 Therefore, you won’t be able to perform your techniques appropriately when doing bag work and you risk injuring yourself by punching incorrectly or by kicking with the wrong part of your shin. Additionally, training takes quite a lot of energy, and that can impact your recovery process. If your body is already weakened, a demanding training session is only likely to make you feel worse. Pushing yourself further is also dangerous as you risk making yourself susceptible to developing an infection. At the end of the day, it is best to take a day or two off rather than end up with an infection and be forced to rest for a couple of weeks. Your fitness levels will definitely not drop too much if you take a break for a couple of days. One of the advantages of abroad training camps is that you get to learn new fighting techniques that are impossible to master by yourself at home. However, traveling to countries like Thailand, the best place where one can learn Muay Thai, comes with the risk of catching an infection. This happens because people come to these camps from all around the world and because each of them is carrying different types of germs and infections. Also, training weakens one’s immune system and it makes one predisposed to getting sick. To prevent getting infections while on a camp in a country with humid weather where bacterial growth is a real risk, you have to take a few protective measures. For instance, if you have a wound, it is vital that you cover it up whenever you go to the gym. Plus, be sure to use antibacterial ointments so that your infection does not spread. If your trainer is sick, it is also best that you avoid close contact, whenever possible, as Thai trainers do not get medical leave. Additionally, if you notice that your training partner is sick or happens to have an infection, speak to them politely and tell them that you refuse to do clinching. Whenever you see a person that has an infection, let them know that they need to have it checked out. As soon that you are done training, it is advisable that you shower using plenty of soap. Do not wait to do so until you get home. While showering, make sure that you scrub all of your body so that you get rid of any bacteria you might have come into contact with while training. To avoid weakening your immune system it is vital that you eat correctly, that you stay hydrated and that you get enough hours of sleep. If by any chance, you do not feel well, you should stay at home for a day or two instead of going in and making your training buddies sick as well.